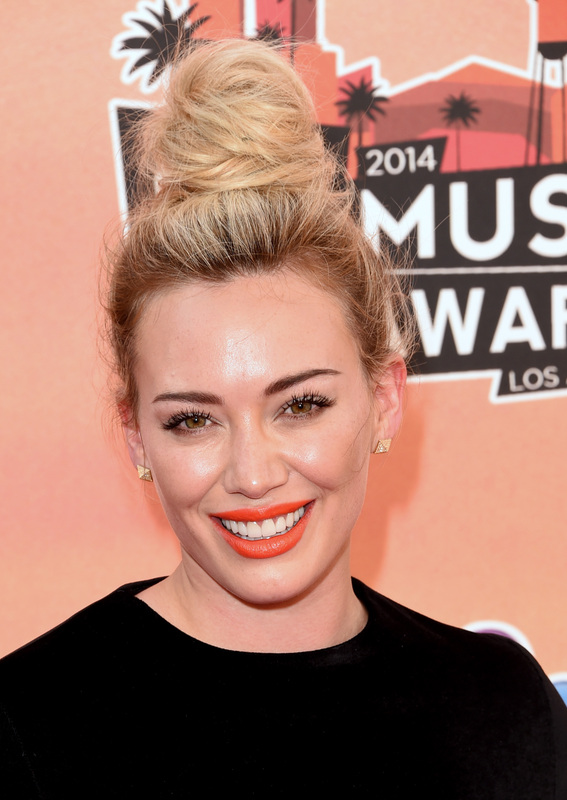 It appears that Hilary Duff is adding another credit to her already impressive resume: tech designer. Duff is partnering with startup company Casetify to design a line of cell phone covers, for those fangirls who want to accessorize their gadgets exactly like the singer. According to a press release, Casetify combines the documentary power of Facebook and Instagram with creative sensibility to allow its consumers to create personalized cell phone covers. Either using the website or the app, users can select the type of phone they'd like to design a case for, upload photos from their Instagram or Facebook accounts, and apply a filter if desired to create a completely unique case. Options for case type, color, and material are offered for each phone, from simple snap cases to a luxe maple wood cover, though more luxurious additions will bump the price from between $34.95 and $39.95 to $50. Those who want an innovative case design without using one of their own photos can choose from Casetify's store of quirky designs, which includes a line by HelloGiggles featuring cartoon animals and tasty-looking treats. In other words, one could easily turn a selfie into a cell phone case with a few keyboard strokes. If this venture doesn't sound like an ideal fit for the photography and social media-obsessed millennial generation, I don't know what is. Available for purchase on Google Play and the App store, the app is ideal for Facebook and Instagram devotees who not only love the pictures they take, but also want to exhibit them. Given the likelihood of several thousand Apple or Samsung customers running around with the same phone cover, Casetify is a unique opportunity to set oneself apart from the crowd. It may be too much effort for some, but artistically-minded users now have a simple way to add a bit of creative flair to their smartphones. Casetify was founded with a free spirit and a lofty objective: to create meticulously crafted cases with your social images. Combined, we want to help others express their individuality and style. Casetify was a perfect gift from my best friend, and loved the idea of being able to show off my favorite memories and express my carefree style. I’ve got tons of photos from special moments, so I wanted to find a creative way to share them with the fans and Casetify made perfect sense. So the next time you inevitably discover that you share an iPhone case with your mother, your sister, or a handful of your closest friends, it may be time to customize.